Add your own flair to these 18 swirling doodles with pens, pencils, crayons, markers or paint. Work with color theory and learn how colors go together. The included pages are great for decorating a room, binder or locker. 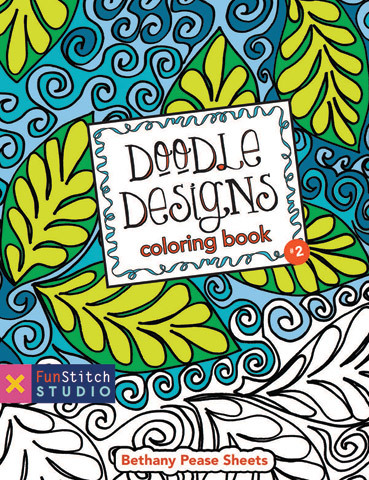 This coloring book is 8.5" x 11" with an embossed cover and 40 black and white pages.